Aromatic, pungent and spicy, ginger is perfect in baked goods, candies, Asian dishes and also a very healthy medicinal herb. Ginger has many evidence-based health benefits. It has a broad-spectrum of antibacterial, antiviral, antioxidant, and anti-parasitic properties, to name just several of its more than 40 pharmacological actions. Learn how to grow ginger in your home and you will always have fresh, tender and fiberless ginger root on hand. How to grow Ginger in your home? Being a tropical plant it does not tolerate frost, so unless you live in a warm, humid climate, it’s best to grow ginger in a pot indoors. Ginger grows well in partial to full shade, which makes it ideal for growing in your home. Ginger is a no-fuss plant plus it is very pretty with its bamboo-like green shoots and leaves. Make sure that the ginger root you choose is organic and is plump with tight skin. Your best bet is the roots with several eye buds on it (like little horns or potato eyes) and if they’re already slightly green, even better.Ginger you can find in the grocery store is often sprayed with chemicals like growth inhibitor, pesticides and fungicides. 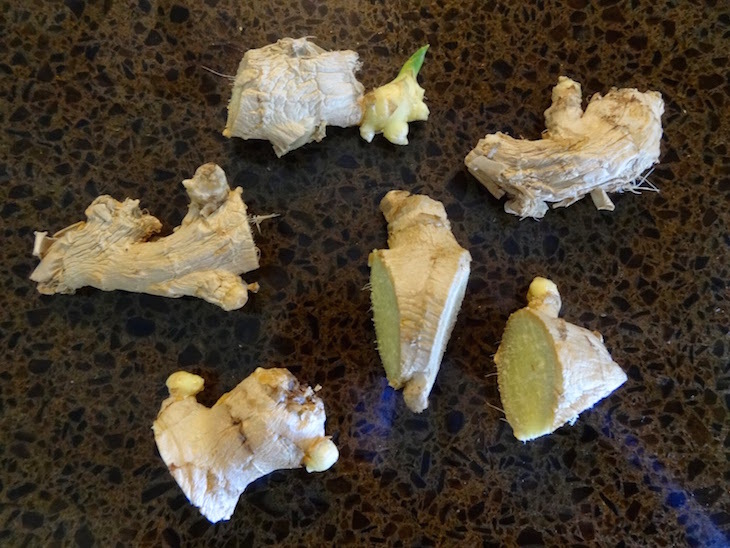 In order to get rid of these chemicals soak the ginger root overnight in warm water but for a minimum of 2-3 hours. After this your ginger root is ready for planting.